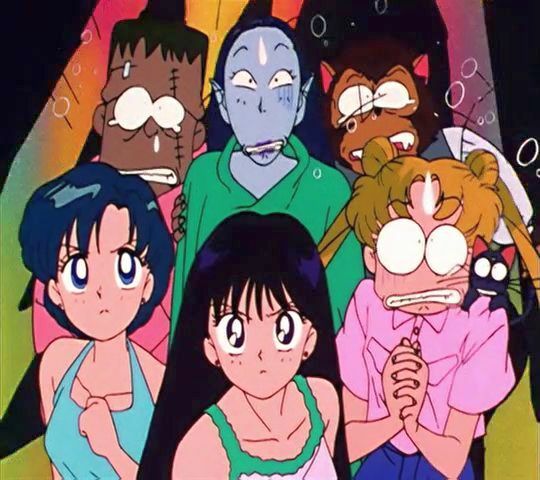 Never one to turn down the opportunity to talk about old anime and manga that are relatively unknown to the west – and tie that into a Halloween-themed article to boot! – I thought it might be worthwhile to take a look at the time when three of our favorite Sailor Girls found themselves in what basically amounts to a Scooby Doo-themed filler episode. Anyway, today we’re talking about some of the “blink-and-you’ll-miss-it” references in this fun summer romp. I hope you’ll stick around!